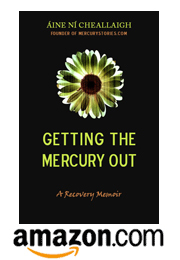 Mercury poisoning made me sick for a long time. In total, I was sick for two years. But I wasn’t sick for every day of those two years. Sounds like a good thing, right? To have good days mixed in with the bad days? If I have to be honest, I think that was one of the worst things about mercury poisoning. Mercury poisoning is not consistent. Ever heard of the term ‘mercurial’? It means changeable or variable. 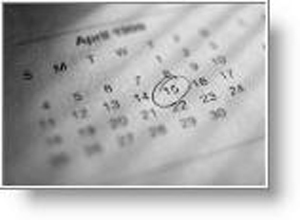 While I was sick, while I was chelating, my mood and energy levels fluctuated by the day, and sometimes by the hour. Monday morning, I’m ending a round of chelation. I’m miserable, my brain is full of dark thought. My girlfriend asks me if I want to do something that evening. “No,” I say, and I’m horrified at the growl I hear in my voice, even though I’m trying hard to suppress it. I go to bed and hide under the covers. Monday afternoon, the cloud over my head lifts, I feel fine. I look at my empty schedule and think, what am I supposed to do now? I cook and clean, putting as many portions of gluten free meals in the freezer as I can, stocking up for the next mercury storm to hit. The next few days, things are fine. Because I have no plans, I’m bored. The next few days things are terrible. All I can do is lie in bed. There is no way to tell. This is no way to predict. There is no way to plan what’s going to happen next. Repeat this random pattern over and over again for two years, and you get an idea of the challenge I faced. How was I supposed to plan a life around this? I couldn’t look for a job because I couldn’t promise an employer that I could turn up at work every day. Every time my girlfriend and I booked a trip, I dreaded ruining everything by being sick on vacation. Even something as deceptively simple as having friends over for dinner was fraught. What if I started to feel terrible in the middle of dinner? Would I ask them to leave? Would I get up from the table and take to my bed? When most people look at their lives, they assume that they have an endless string of days lined up, each one with an equal measure of energy to spend. It’s one of the fundamental aspects of health that we take for granted. Making plans, turning up, actually doing what we said we’d do. It was one of the things I missed most when I was sick, that ability to behave like a functional adult. Because the good days just don’t count until you can string enough of them together to plan a life. Been reading this blog for a while now and it often feels like you are describing my life …. Your stories are like a mirror to my experience. I am on Cutler chelation. Some days I feel great and some are hard to survive. But the good days give me an idea of how life can and should Be when I am done with chelation – this helps me to not give up.